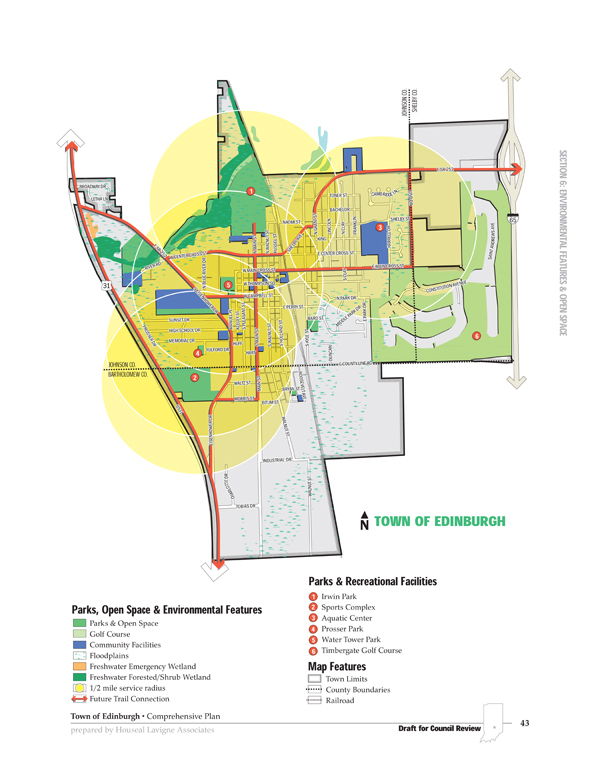 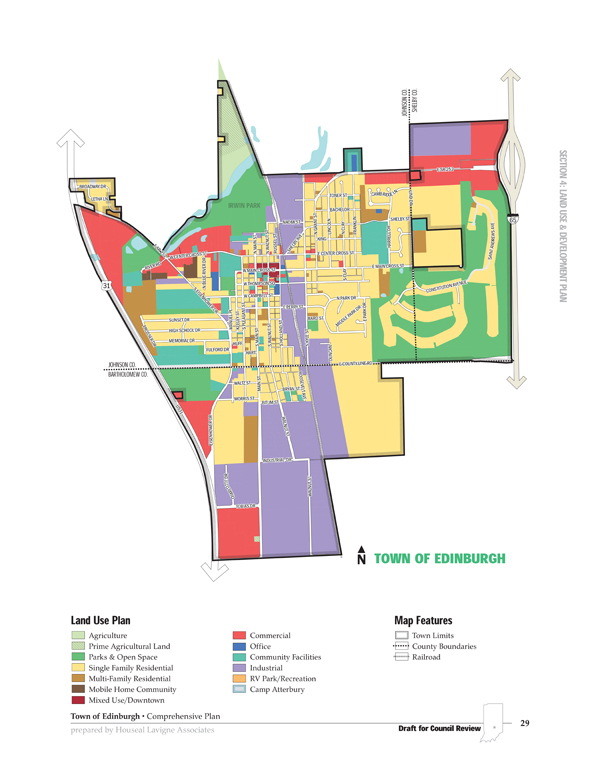 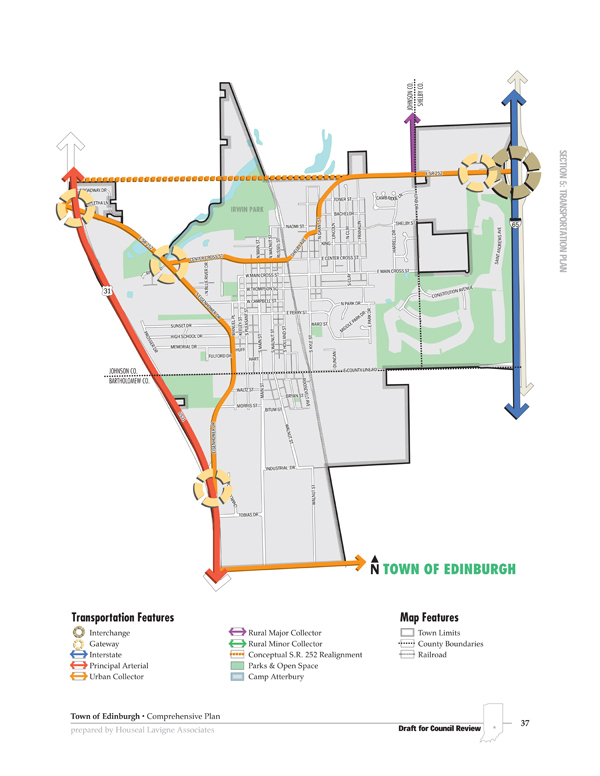 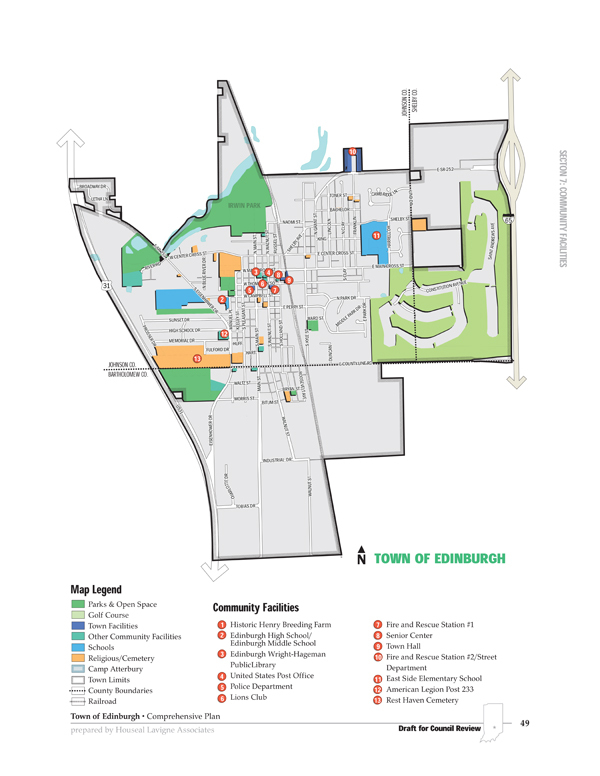 The Town of Edinburgh is a small town with a large industrial presence. 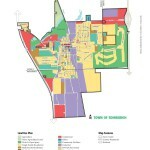 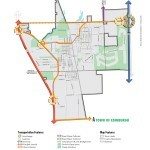 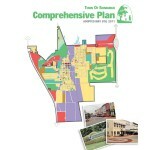 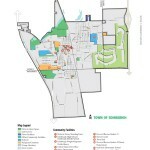 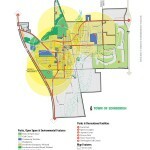 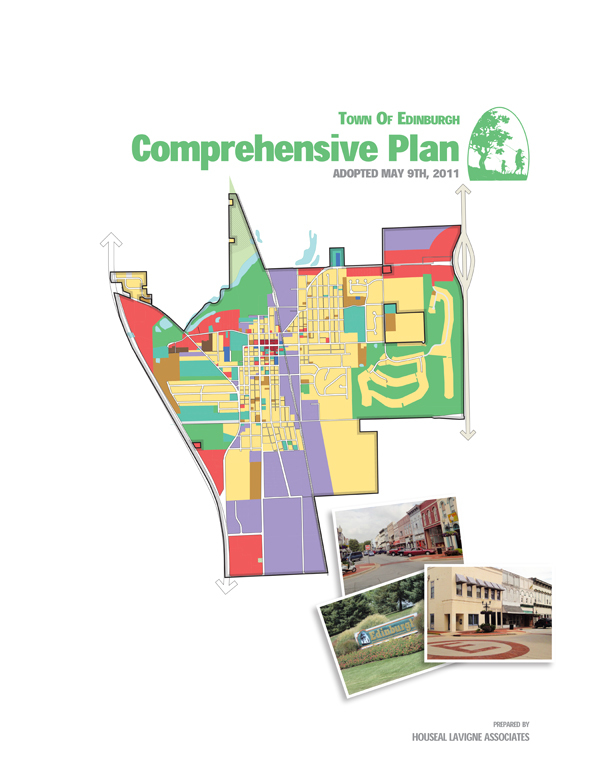 The Town desired to update their Comprehensive Plan which dated from 1979 and also wished to address some unique development issues facing the community. 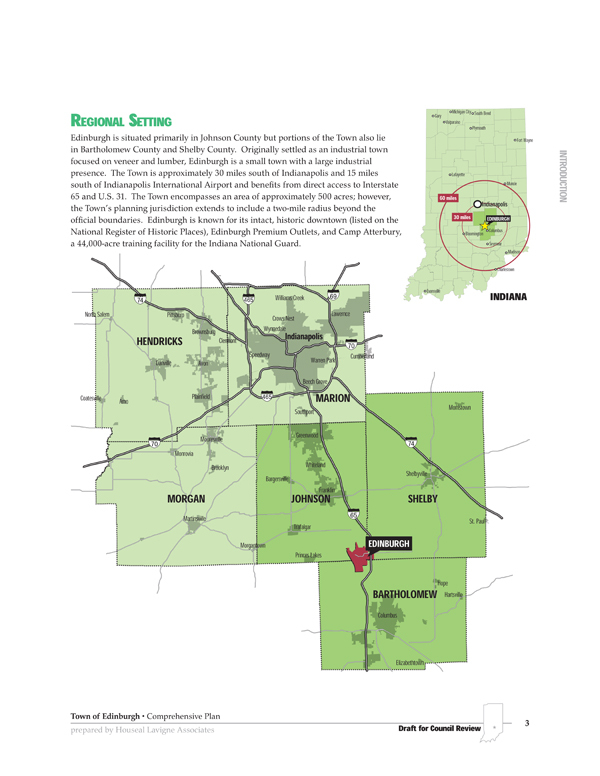 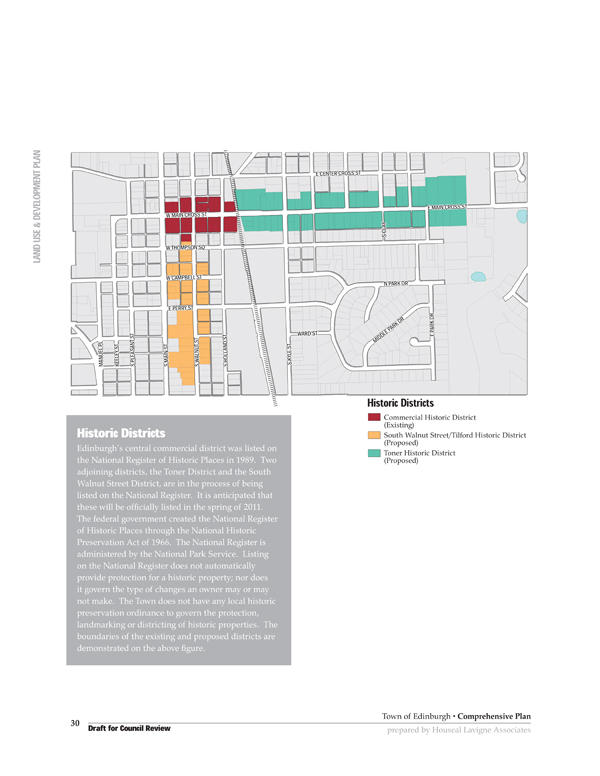 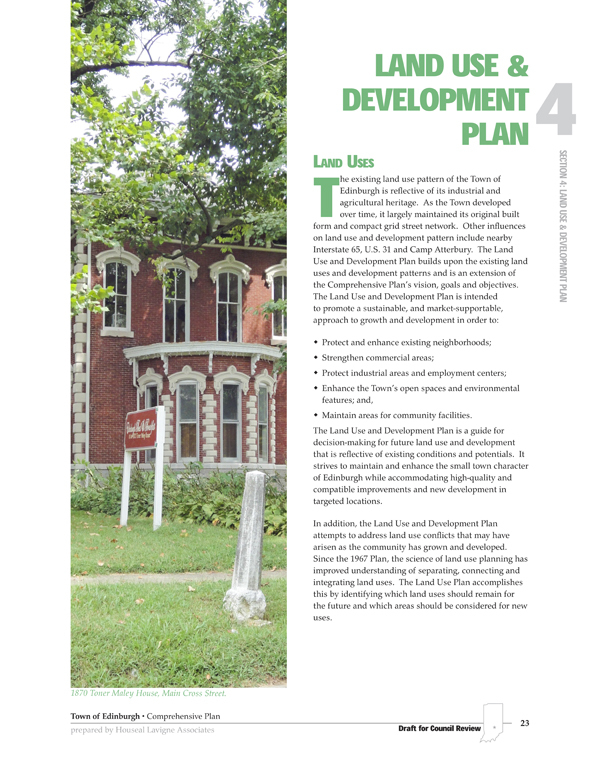 Portions of their distinctive Downtown were included on the National Register for Historic Places; a major flood significantly damaged the Town in 2008; and the growth of neighboring Camp Atterbury, a military training facility, posed questions about the location and amount of future development. 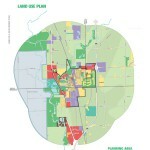 The Town contracted with Houseal Lavigne Associates to address these issues and to pro-vide a policy framework that the Town’s boards and commissions could use to update ordinances and consistently make land use decisions. 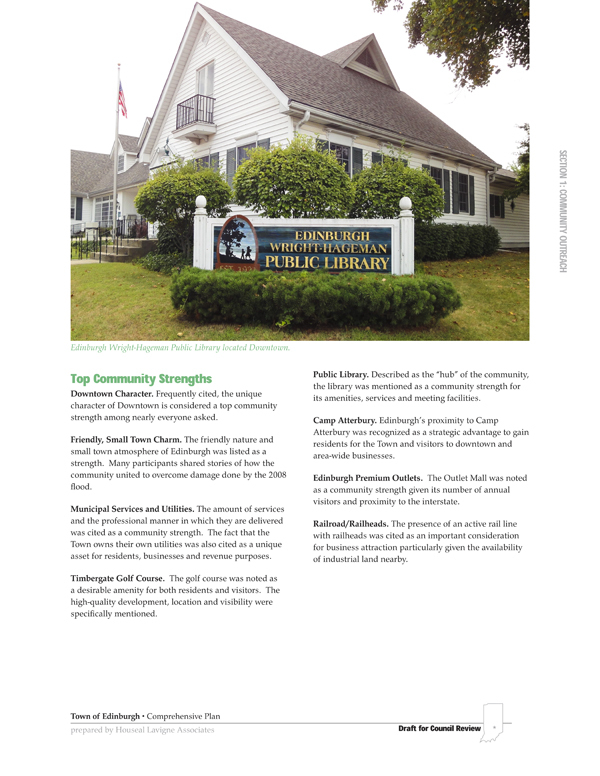 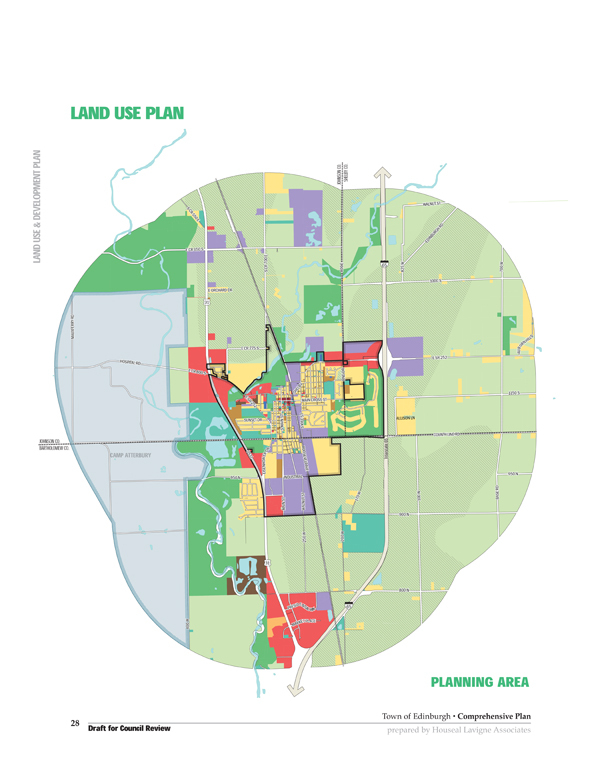 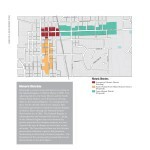 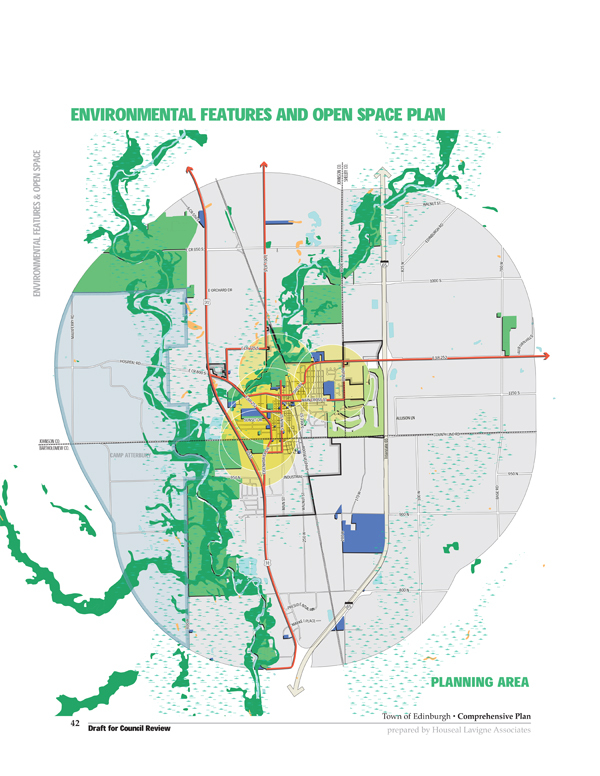 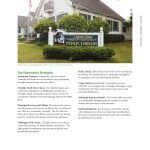 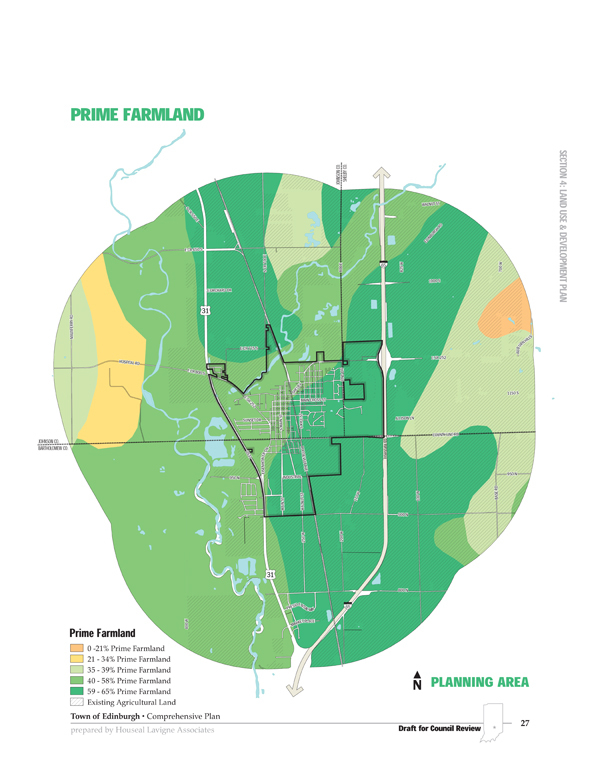 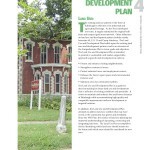 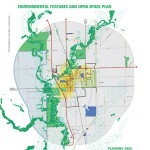 The Plan ad-dressed the Village’s most pressing issues of land use, economic development, and quality of life by providing recommendations for every type of land use from agricultural to industrial.